Variety is the spice of life! 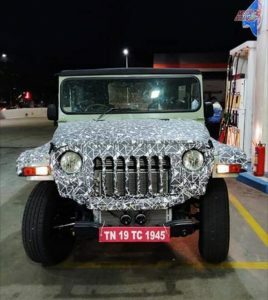 The Indian car customer loves that spice. Manufacturers are the merchants that need to bring the spice before the competition reaches the market. And if the competition reaches the market before them, the car has to be better, more feature loaded and a total Value For Money product. 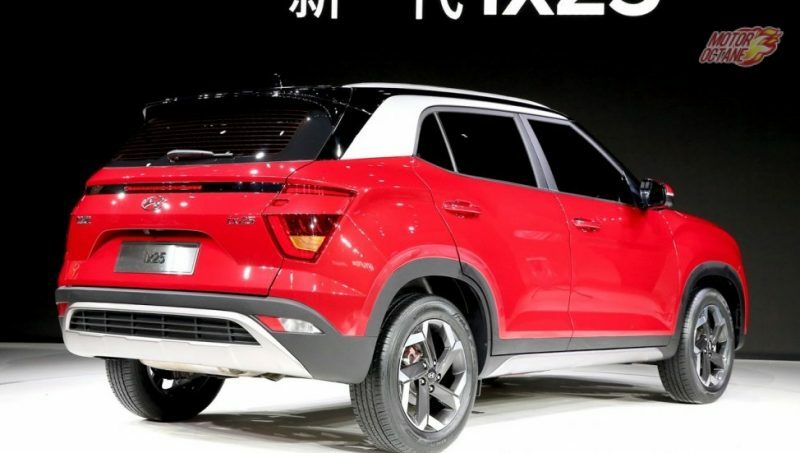 Like the XUV300 recently. 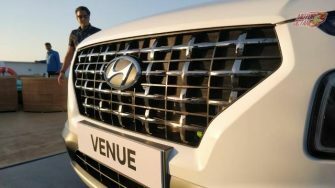 The car came after every major Indian manufacturer had an offering in the form of a sub-four meter compact SUV in India. 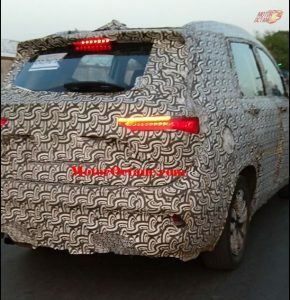 The Indian car makers have to make sure they have the correct combination of vehicles to make the dent in the market. The Toyota Harrier Competition SUV will be tasked to just that. Toyota Harrier Competition SUV – The need? Toyota is a very serious manufacturer. So when alleged reports and rumors come that they want to enter a new segment, it’s got to be an important one. The Toyota Yaris was one important new segment. 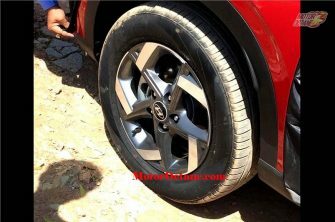 Toyota is also going to get the Toyota Brezza SUV and the Toyota Baleno hatchback soon, thanks to it’s deal with Maruti. Thus, the Toyota Harrier Competition SUV makes complete sense. 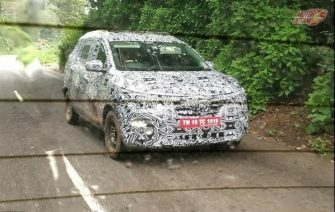 An SUV that will compete with the Tata Harrier, Jeep Compass, Hyundai Creta and the Mahindra XUV500. An SUV the rest of the manufactures will be very cautious of. 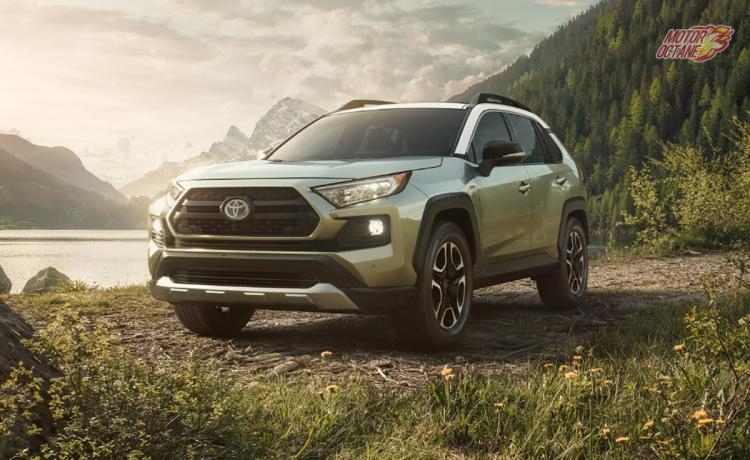 Toyota makes some of the best SUVs in the business and we expect a Toyota to be more dependable, more feature loaded and carry forward a good resale value. With the Toyota Harrier Competiton SUV, the whole SUV line up for Toyota will become very attractive. 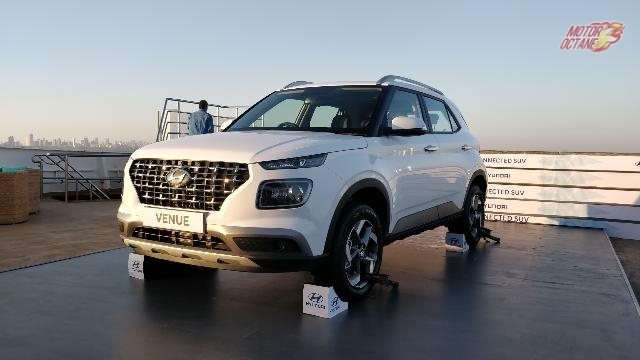 The launch of such an SUV will not take place before the 2020 Auto Expo. Toyota might show us a concept or a design that would be the inspiration for the actual vehicle. The car will come in 2021 or even 2022. So we are at least 2 years away from this car coming to us. 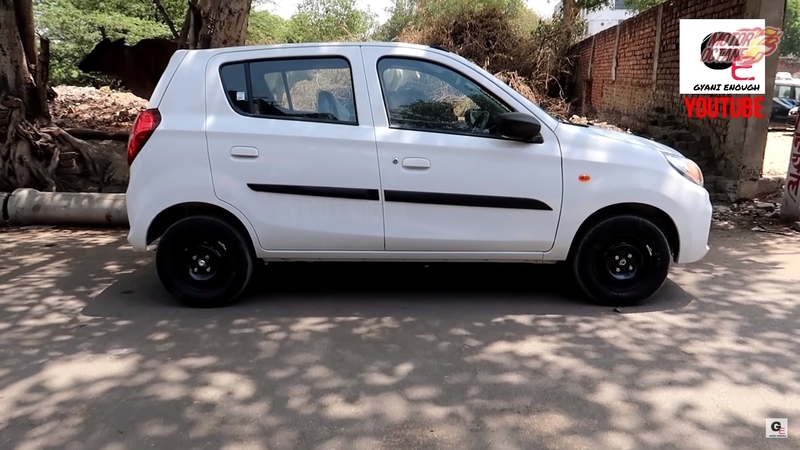 The price of this car will be starting from Rs 14 lakhs to Rs 20 lakhs. This car will be priced to be competitive. 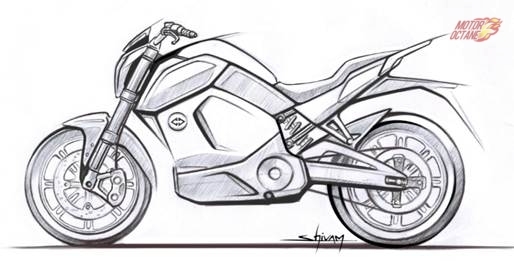 It’s too early to speculate about the design, features and specifications. Being a Toyota, we can expect the car to get first in class features, utilitarian design and functions and a robust engine and platform. 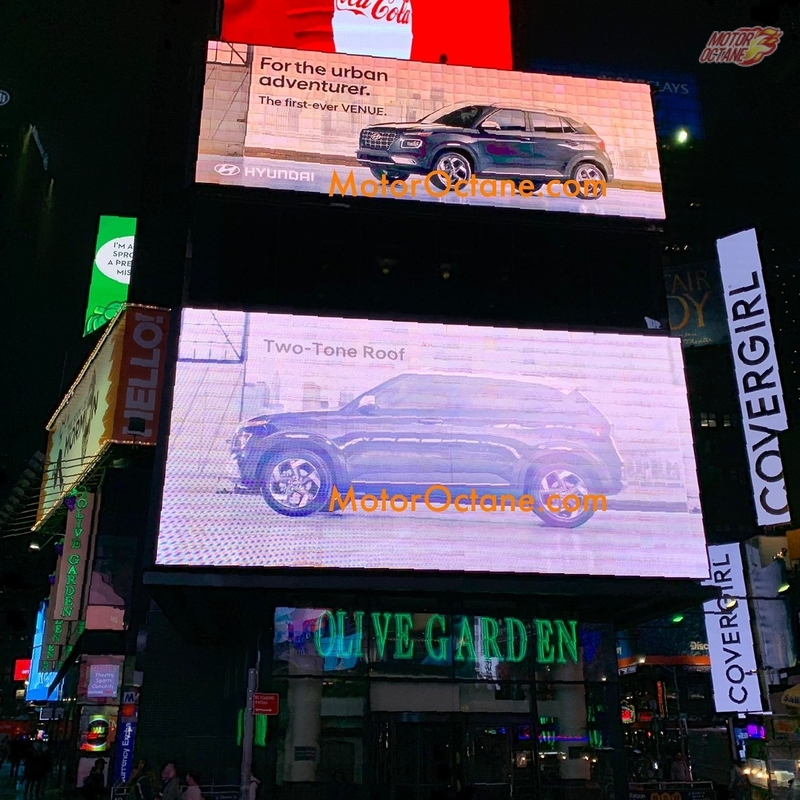 We have used the images of the Toyota RAV4 for representation. 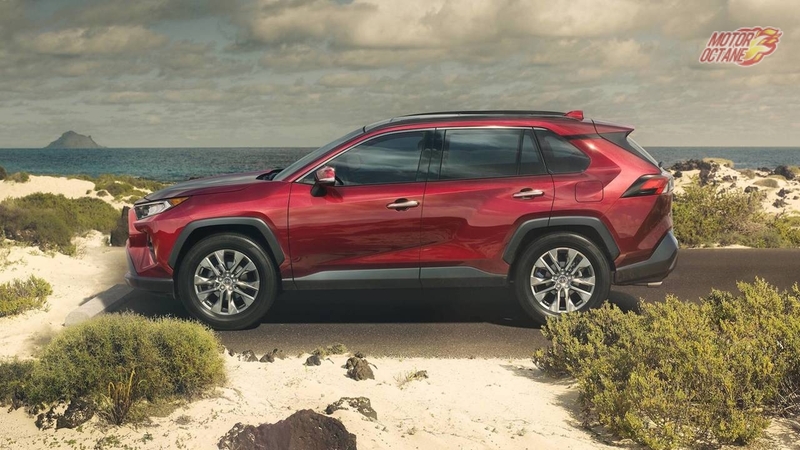 This is the car that competes with the Jeep Compass and also the bigger Hyundai Tucson. A car like this of this size should come to India. 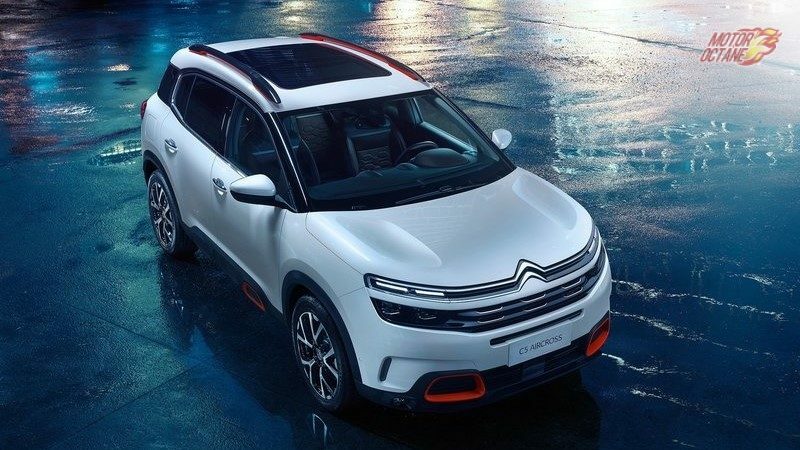 The car will come to India at a very competitive SUV. 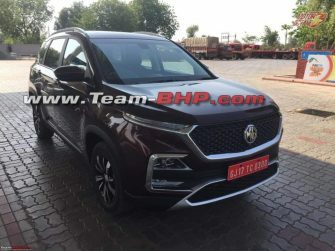 It will be competing with the Hyundai Creta, Tata Harrier, Jeep Compass and the XUV500. This is really an unbelievable launch from TATA. This SUV just looks like a muscular giant. Loved the design. 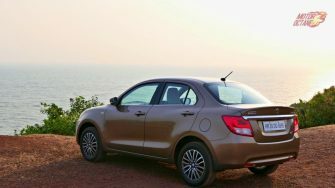 The car is touted to the 1.0-litre petrol engine with a higher performance tune and could also get the 1.5-litre diesel engine. Both engines will be introduced with manual gearboxes. 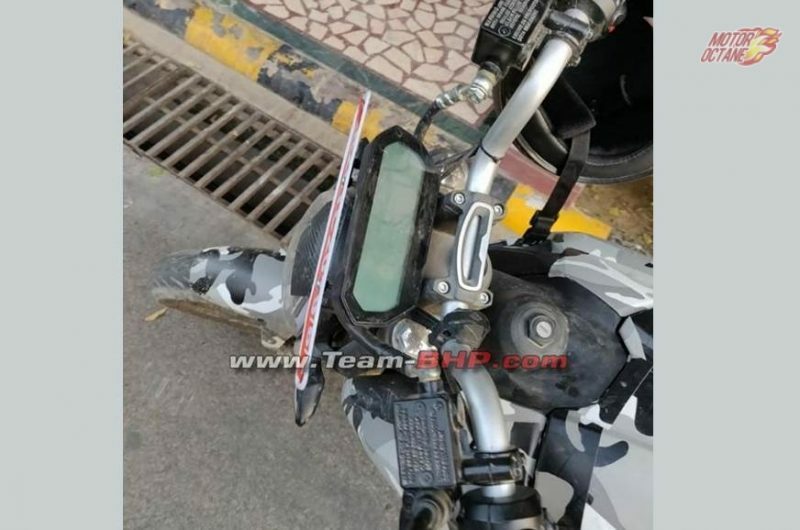 The petrol engine could spot an AMT. 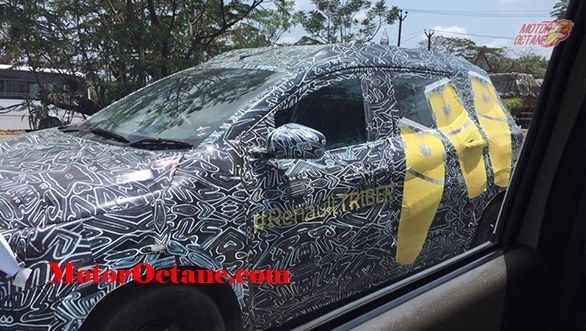 The Renault Triber will be priced at about ₹6.5 lakhs to ₹INR 11 lakhs (on-road). This will not have a direct competitor. This is the exact kind of segment Renault will be looking at capturing. This will be possible as the CMF-A platform has been localized and this will help to reduce the cost and make it better value for money. 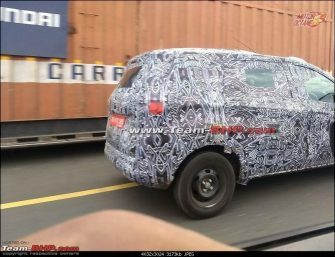 Instead of getting an all-new compact SUV, Renault is looking at exploring the compact MUV with MPV practicality and hatchback-like usability. 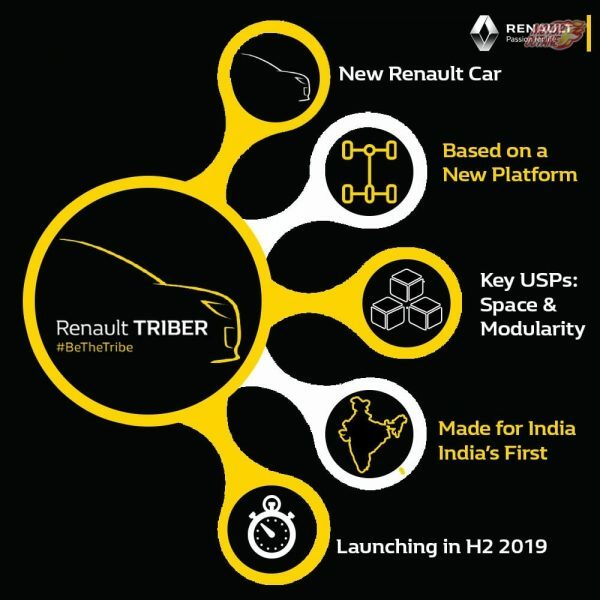 Renault is making the Triber specially for India and the car will be locally manufacturered. The Mahindra Thar is a great car with old school style and legendary off-road ability. The Thar is a car which will not take you to a place in comfort but will take you anywhere. But it’s now getting old. 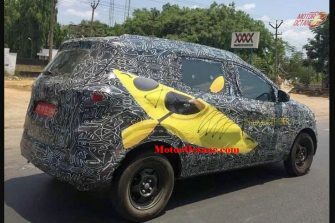 Mahindra is going to launch a new car new generation car soon. The new car has been caught testing again recently. If you want to see the entire gallery of spy shots, scroll down. 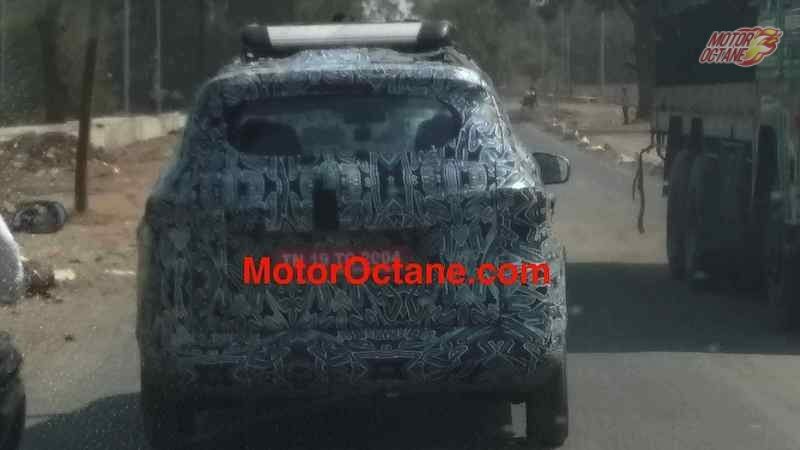 Now there are new spy shots of the car that show us how the New generation Mahindra Thar would look like. 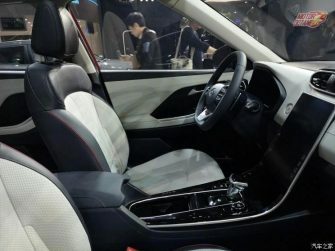 This time we get a closer look at the cars interior and the dashboard of the car. Some features of the car are also revealed in these spy shots. Keep scrolling down to know more. The New Mahindra Thar 2020 will be most likely shown at the 2020 Auto Expo. 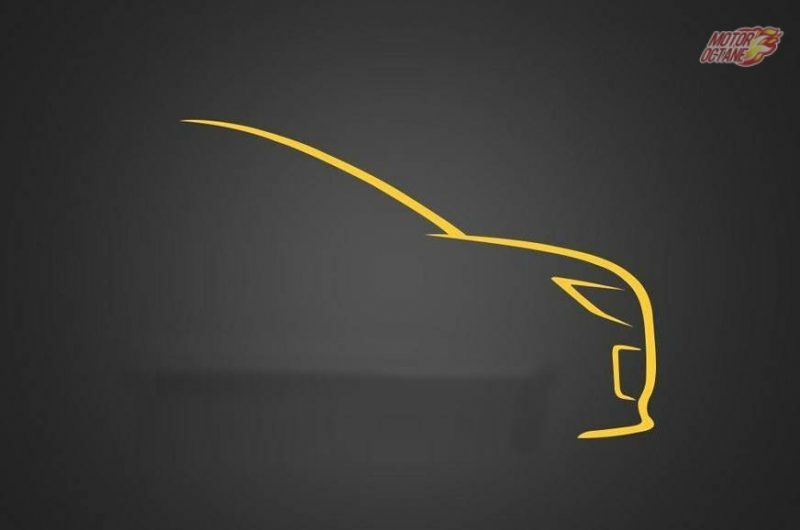 The car will be an all new product. 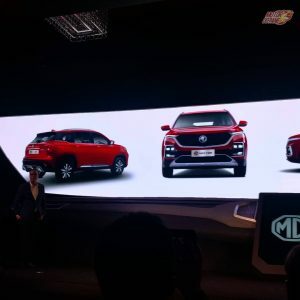 It will be Mahindra’s biggest launch after the Alturas G4 and upcoming S201 aka Inferno. The price of the Thar is expected to go up significantly. 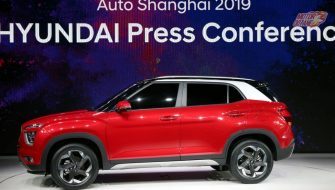 The car will continue to have manual 4WD and will have the capability to get down and dirty. The extra money will be for a car with more space, features, and comfort. The car will continue to go with the Jeep CJ5 inspired looks. The removable doors, soft top roof with bull bars will continue. The front of the car will get new fog lamps, LED DRLS and projector headlamps too. 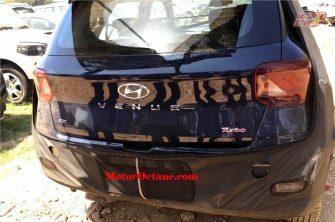 The bumper will have a brand new design. 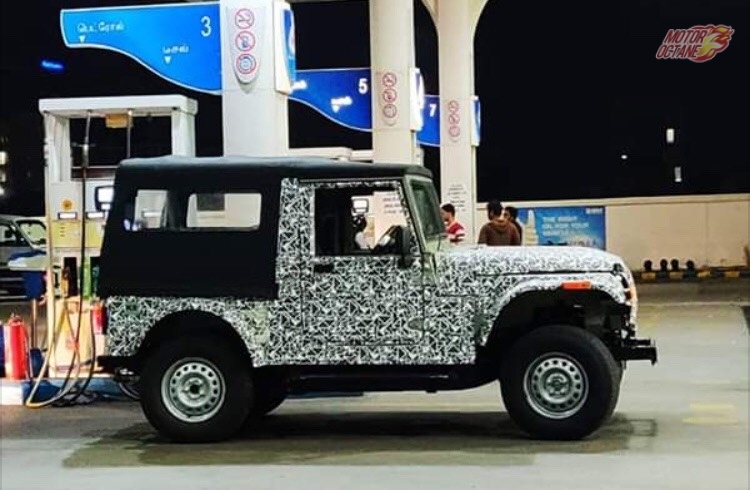 The car will also get a The New Mahindra Thar 2020 will also get the option of a hardtop roof which will be removable and could have an integrated sunroof. 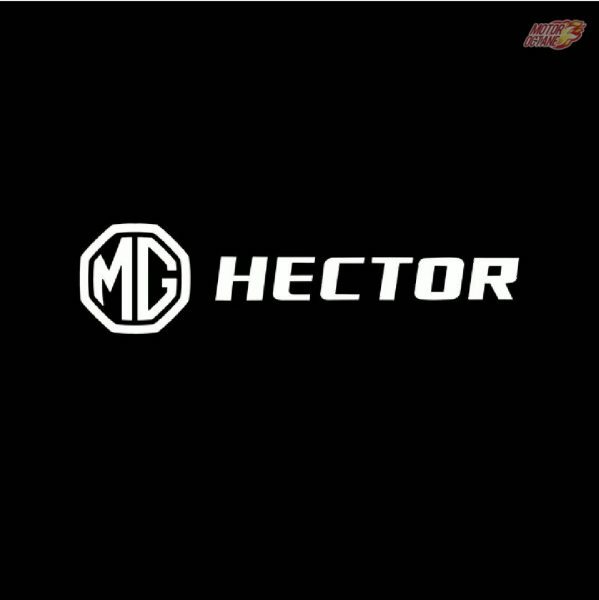 There will also be many other customization options that will be available on the car from the factory itself. 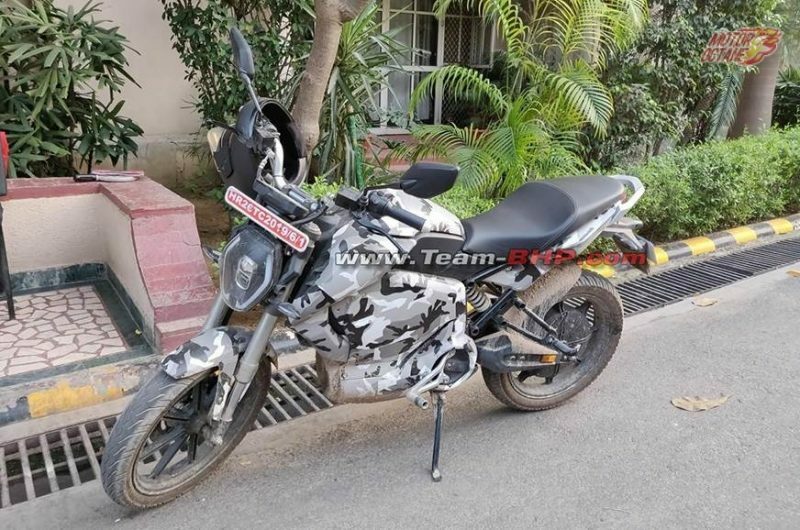 Mahindra could give a lot of accessories options too. This is where the car is set to have the most improvement. A wider car means more space inside. More space means more storage options and more comfort. The car will get a new infotainment touchscreen, a better instrument cluster with more information, doors with storage and power windows, cruise control, 2 airbags as standard and plush yet durable upholstery. 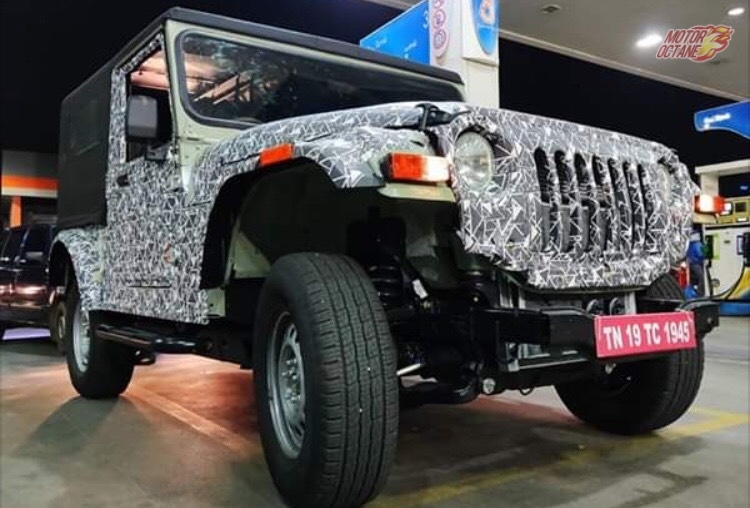 The New Mahindra Thar 2020 will finally get the comfort equipment one expects the car to come with at this price point. 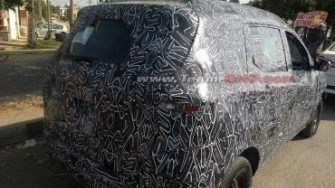 Now in the new spy shots, we can see many upcoming new features and details of the interiors of this car. The dashboard has been completely redesigned. 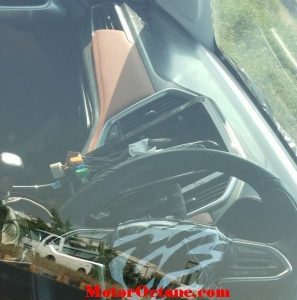 The interior shots reveal an all-new digital instrument cluster. The steering mounted audio controls as well. 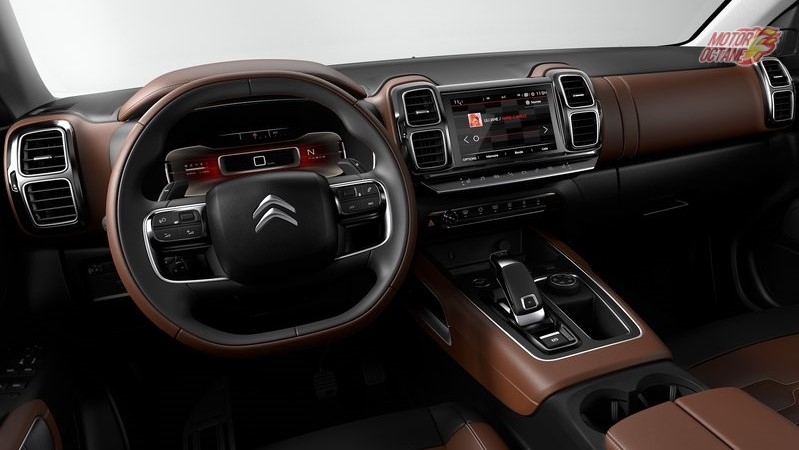 There is a new centre console and its design hints at a big touchscreen that will now be offered on the top variant. The front seats look better too and have bolstering as well. 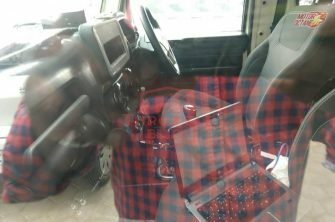 The AC vents have now been moved down and there is a bigger glove box too. 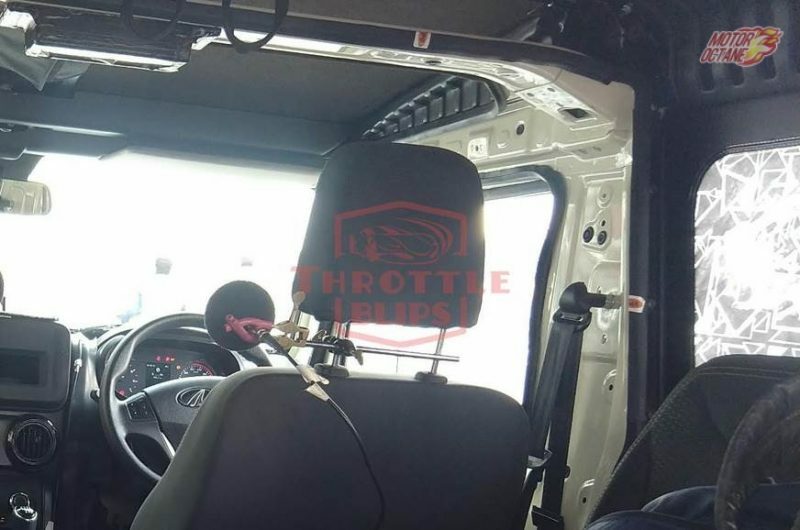 The seatbelt mounting points have changed. 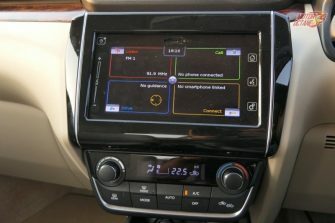 The car could also get features like cruise control, voice control and different driving modes. The current engine of the Mahindra Thar is a 2.5-litre 4-cylinder unit with a manual 5-speed gearbox and a manual 4WD system. This same setup should continue in the New Mahindra Thar 2020, with the engine being BS6 ready. 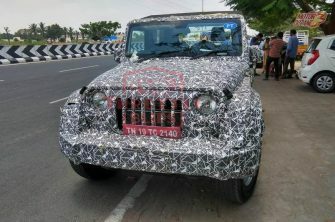 We can also see Mahindra offering the Thar in a slick automatic variant for people who want the car as a style statement. The Thar will have better on-road manners too. 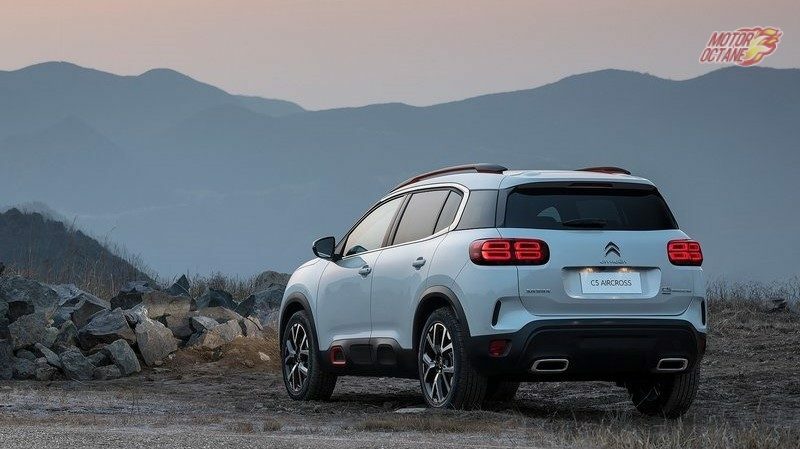 The car will be brilliant as usual off-road but will also be made more friendly for those who want to go for long road trips too. NVH levels will be brought dow. Comfort features like power windows, rain-sensing wipers will also be offered. 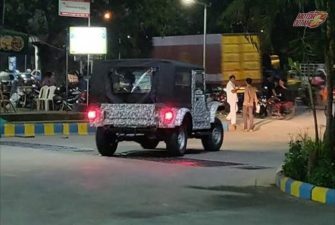 There is also a rumor that the new Mahindra Thar is expected to come with an 2.0-litre diesel engine that will comply with the upcoming BS VI emission. Power and torque will be up from the existing model, expect the new Thar to make around 140 horsepower. The will come with a low range gearbox for 4×4 as well. Safety features on the new Thar will include airbags, ABS, and rear parking sensors as required by the upcoming safety norms. A camouflaged version of the New Mahindra Thar 2020 has been spotted testing by a leading publication. Launched in 2010, the Thar is due for a generation change. 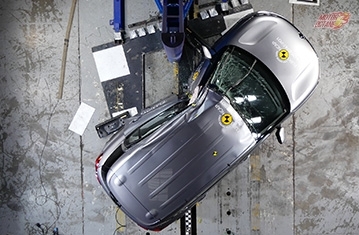 The current car will certainly not be able to meet new crash test norms coming in 2020. 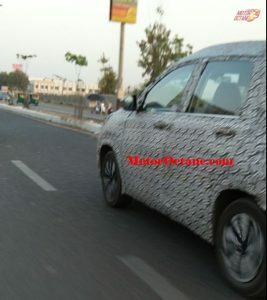 Thus, Mahindra has started working on a new generation car which has now been spotted. 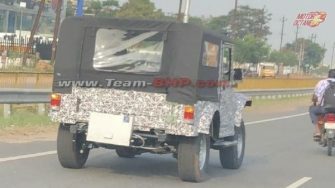 The above image shows a wider body of the Mahindra Thar. 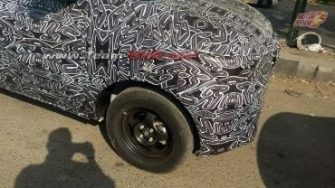 The image shows the car with a bigger body and a wider wheel arches. The windscreen is bigger too. 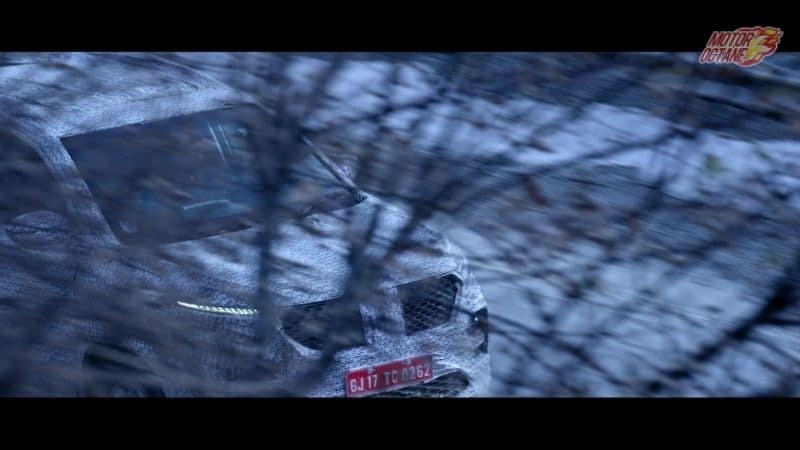 The car also seams the old halogen headlamps, but we can expect the production car to get projector units. There is a new shorter bumper too. The car also right now seems to have pre-production indicators and taillamps. The car is very wide now. And even the windscreen is now fixed and cannot fold. 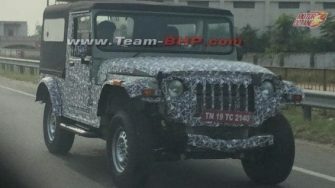 The Mahindra Thar is going to pull more crowds when it is launched in a brand new generation than it is already achieving. People still by the Mahindra Thar for being more user-friendly and having some creature comforts than the Force Gurkha. The Thar triumphed over the Gypsy with its engine, capability and Maruti’s reluctance to market and sell the Gypsy. 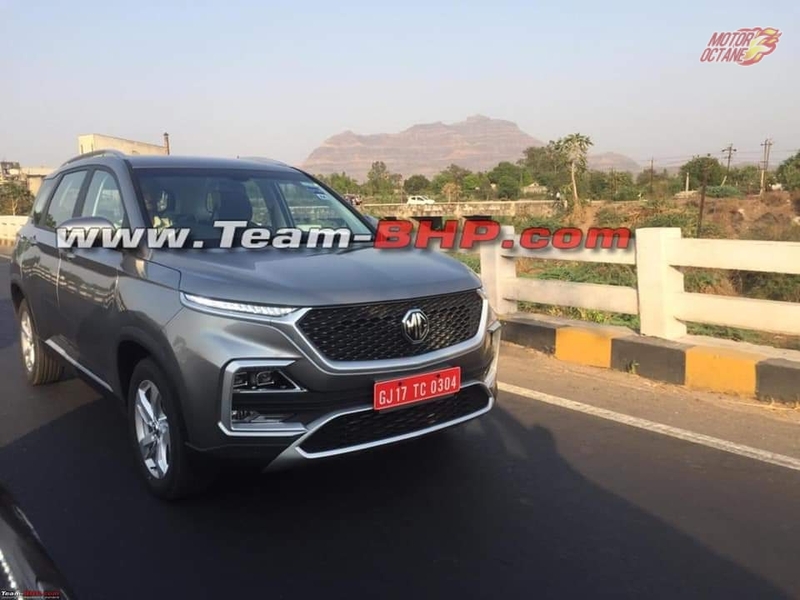 But with Maruti planning to get the Jimny to India soon and Force Motors upping the capability of the Gurkha, a New Mahindra Thar 2020 on the horizon is good for Mahindra. The Renault Kwid is a very important car for the brand in India. The car is a favourite among first-time buyers and people with micro-families. The car has been given subtle updates, new features and variants from time to time, the latest being last year. 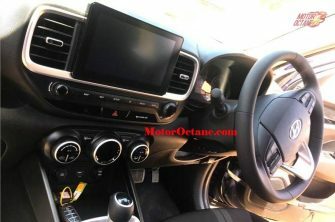 The Kwid has been made safer too with the company recently offering an optional airbag on the passenger side, seat belt reminder and a high-speed alert system. So what’s next. 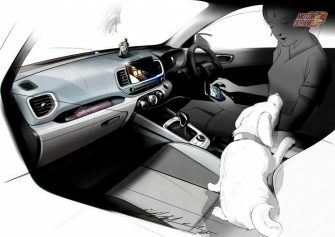 It would be the Renault Kwid Electric. 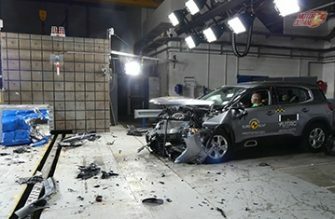 Last we bought you news about the car being tested in China. 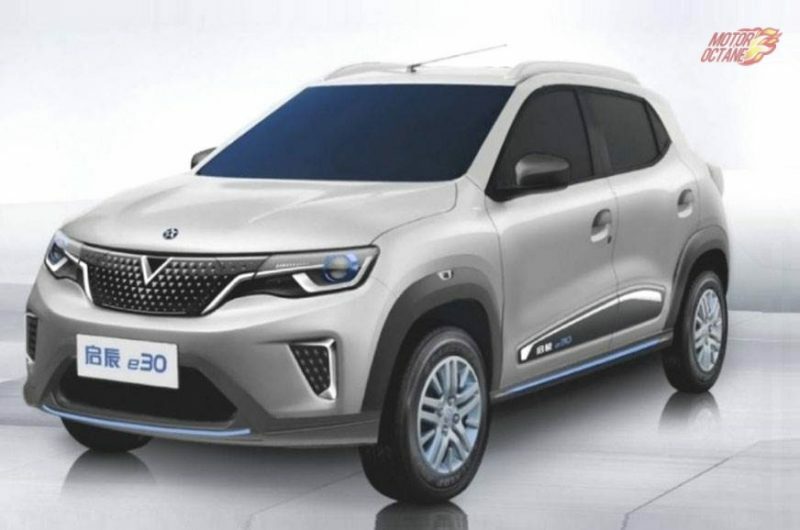 Dongfeng Motors, Renault-Nissan’s JV partner has released the first image of their new electric car, the Venucia E30 EV. 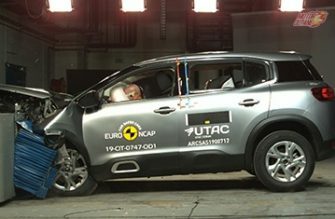 This car is based on the Renault Kwid. Check out the image below. Venucia is a Chinese domestic brand that was launched back in 2012 and is owned by Dongfeng who is part of the Renault-Nissan Alliance. 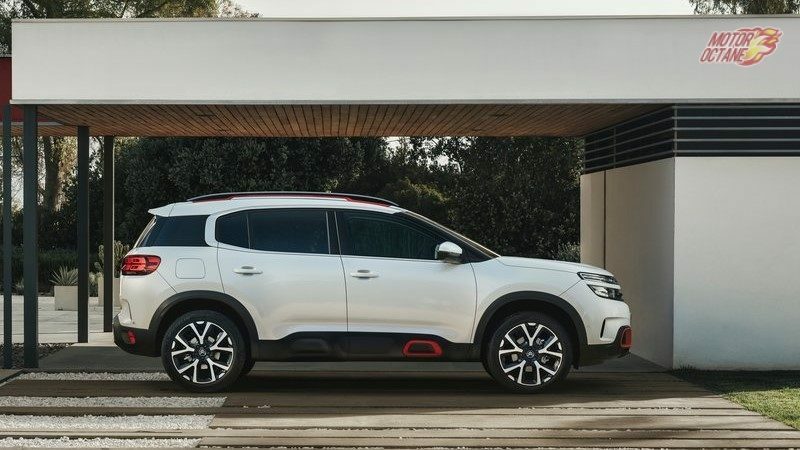 Renault is planning to launch 4 new products in India by 2022 and this car could be one of them. 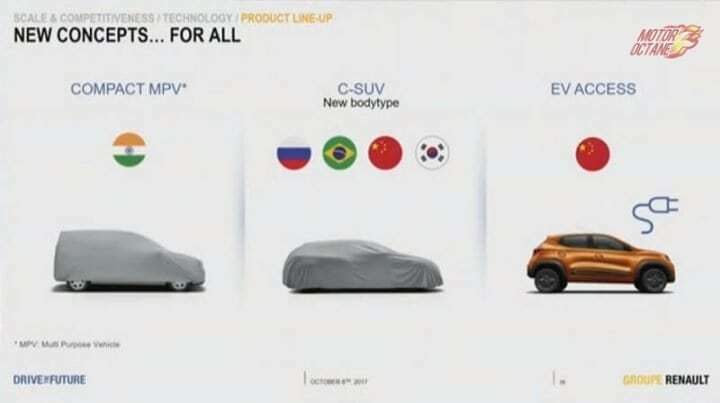 having an EV is good thinking and the car will add to the brands presence in every segment. Scroll down below to know more. The Renault Kwid Electric will make sure that the company has a green portfolio and the price will make your wallet lighter too. According to us, the Renault Kwid Electric should come in at a price of Rs 6 lakhs to Rs 10 lakhs. 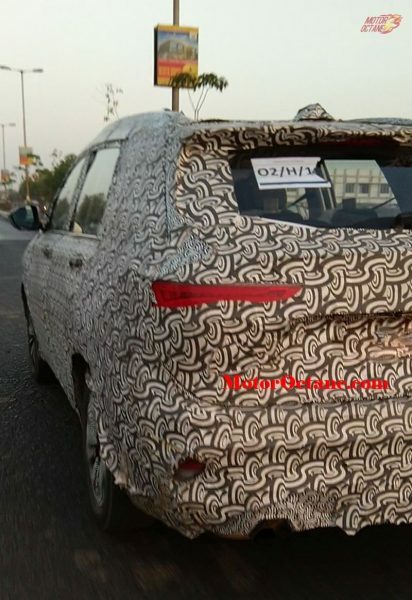 The base variant of this car will also get a lot of features. 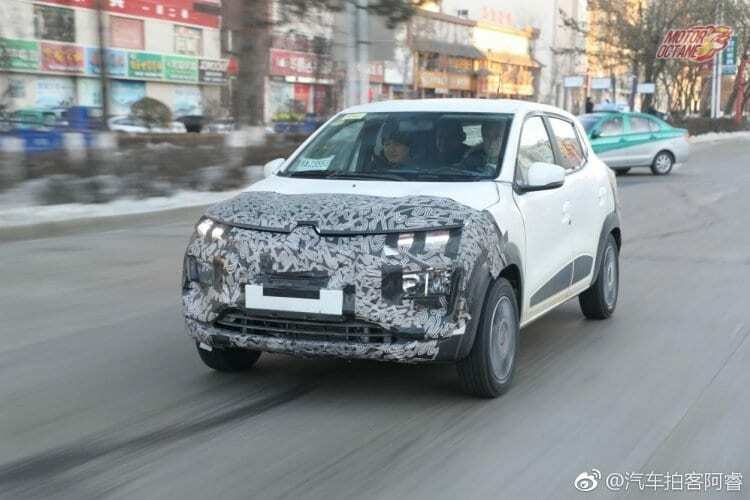 The Renault Kwid Electric will come to India by 2022 mostly. 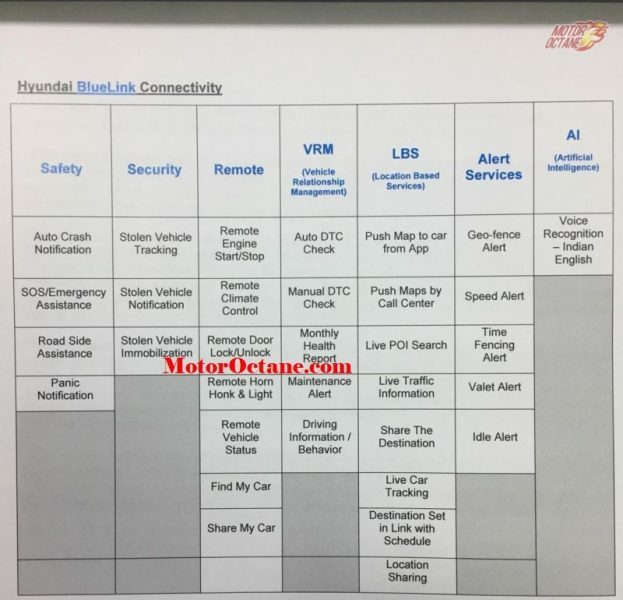 The car is currently being developed and the car will be shown as a prototype first, probably. 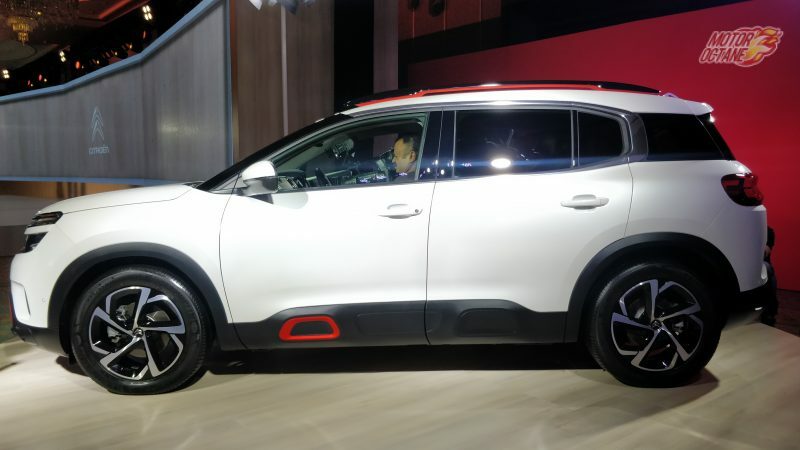 With many manufacturers planning to enter the Indian market with electric SUVs, Renault bringing a hatchback to the market is refreshing. People will want electric cars with different body styles. 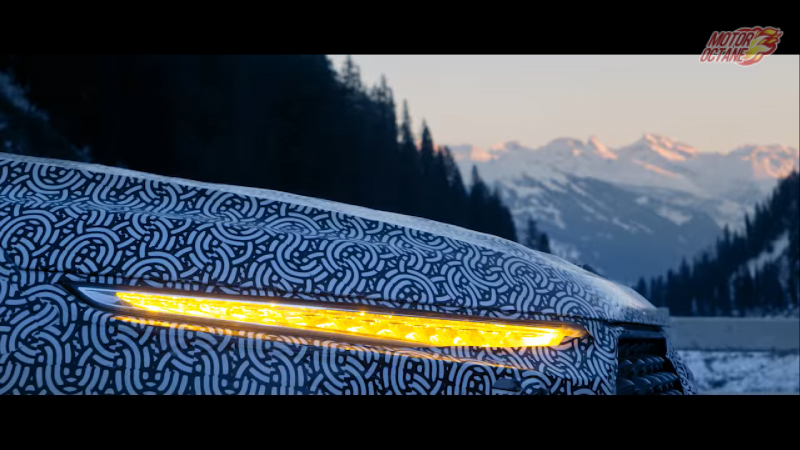 Renault will make sure that the car has touches and features that will make this car desirable or aspirational. 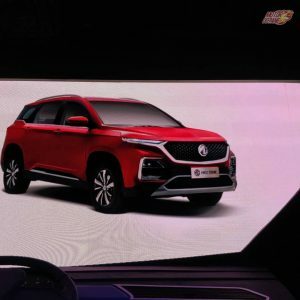 From what we can make out in the cars spy shots and the image released by Dongfeng, the front will be completely revised. The car will get a cool new design for the bumper. 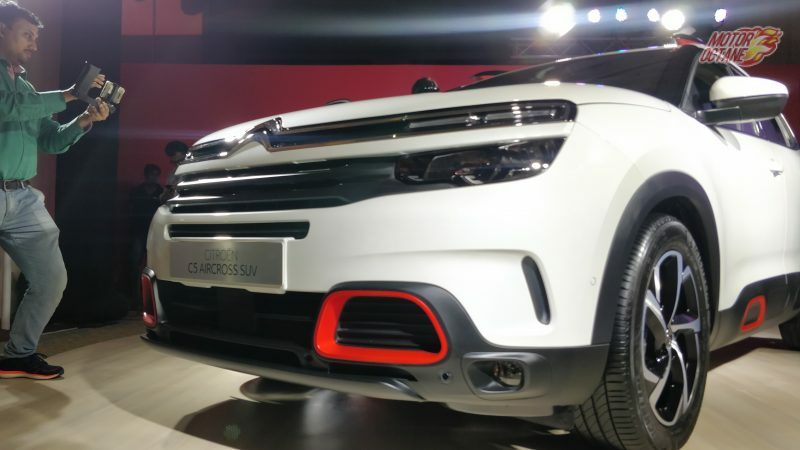 The headlights have a redesigned look to. The DRL wrapping around the headlights give the car more presence and make it look bigger than before. The ORVMs now have turn indicators. The cladding on the doors remains unchanged. 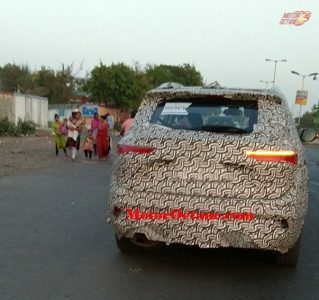 At the rear, we can expect a new bumper, redesigned LED taillights. 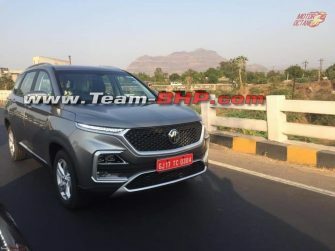 There is a new grille in place and the Venucia E30 EV shown in the picture will come with blue highlights on front bumper and side skirts. The Kwid will have a frunk and a trunk as a result. 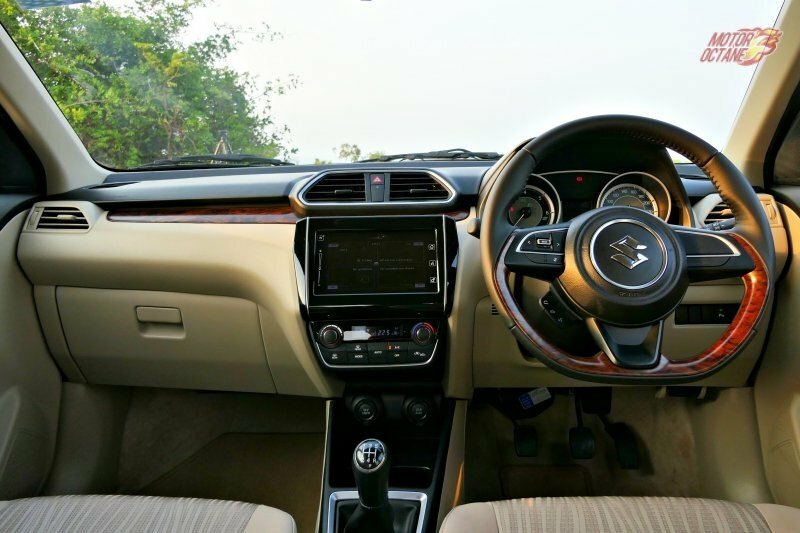 The instrument cluster will have range, navigation, media controls and many other vital readouts. the car will get cruise control too. 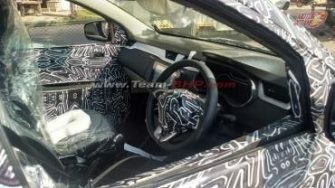 Other features could be, a sunroof, rear ac vents and a cooled glovebox. On the engine front, there would be none. An electric motor would take its place. 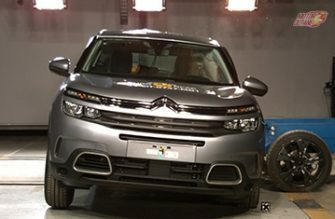 The car could also get more airbags, 4 disc brakes and also ESP. 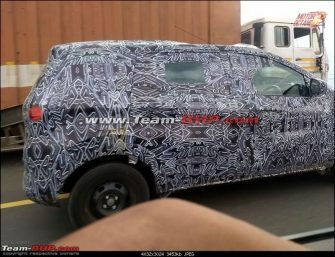 The company has not announced any of the information around the vehicle though, like that of its powertrain. 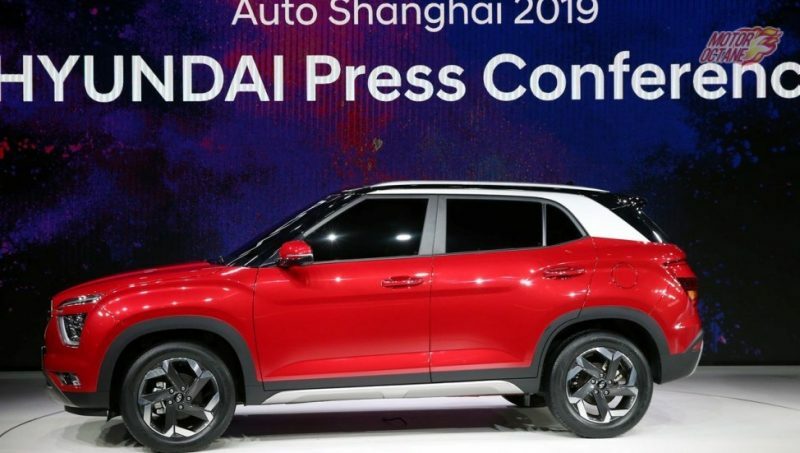 But since it is based on the similar platform as the Kwid EV, we can expect it to offer a range of 250 km on a single charge, as per New European Driving Cycle (NEDC) standards. 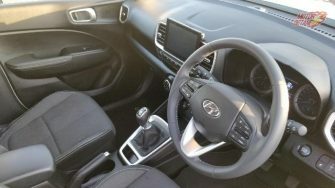 The car will also receive an automatic gearbox only. 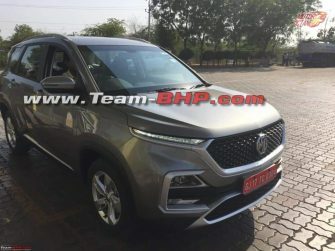 The car will make a cool addition to the Indian market if it comes here. 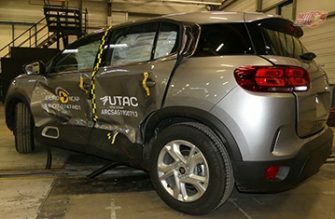 The Kwid will not compete directly with anyone. There will be the Tiago/Tigor EV and the Aspire EV. 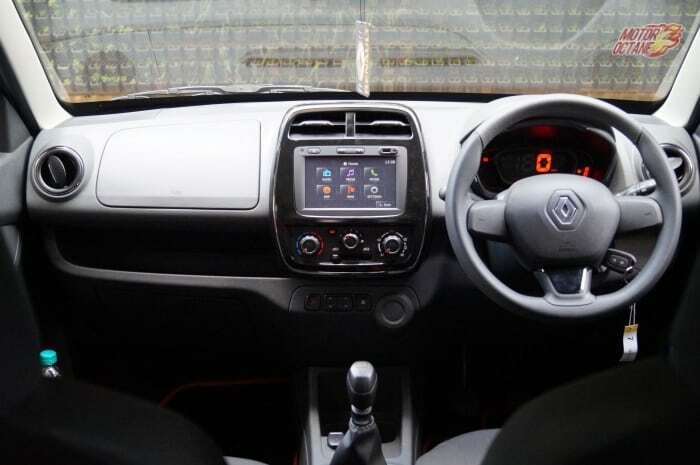 But the Kwid Electric will be a different and a cooler offering. 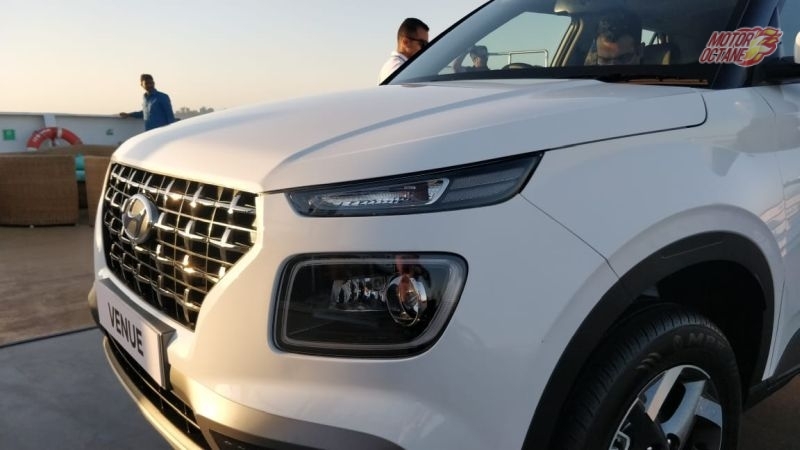 It’s been almost a year since the strategic alliance was announced that will help Ford expand its product line-up in India and will allow Mahindra to revamp its portfolio too. Now there is some more news. 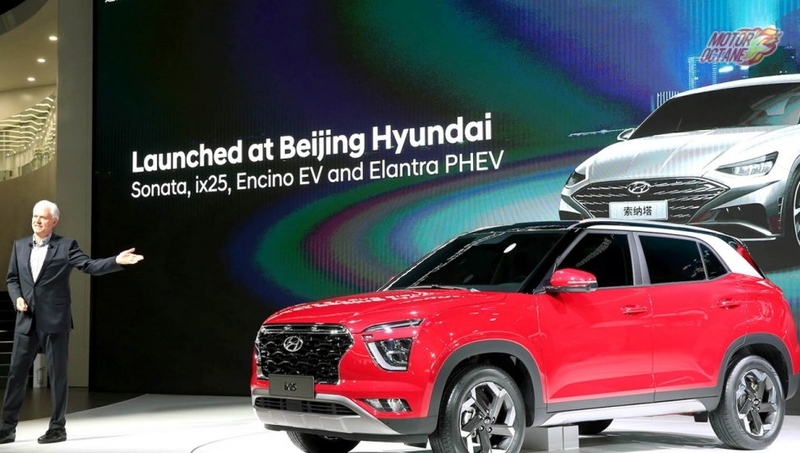 Ford is nearing a deal with Mahindra & Mahindra to form a new joint-venture company in India, a move that will likely see the U.S. automaker cease independent operations in the country. In this new deal, the situation is of Ford will form a new unit in India in which it will hold a 49 percent stake, while Mahindra will own 51 percent. 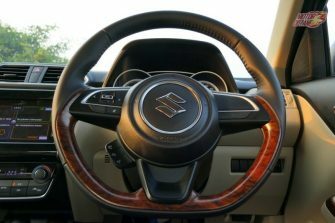 will form a new unit in India in which it will hold a 49 percent stake, while Mahindra will own 51 percent. With Ford already have invested around 2 billion dollars over the past 2 decades and will be handing over existing facilities and staff to Mahindra to decide and how to run. We guess the initial plan to build cars along with each other is still on. 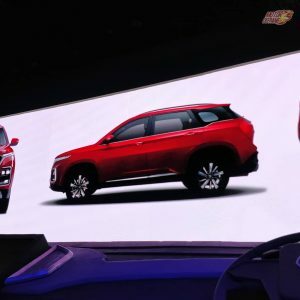 The Ford and Mahindra partnership was initially to build two SUVs together, with an electric version of the Ford Aspire compact sedan also being part of the joint activities. 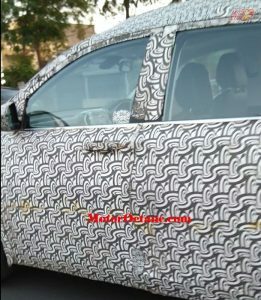 The electric version of the Ford Aspire will use the technology from Mahindra which has had experience selling the E2O electric hatchback in India. 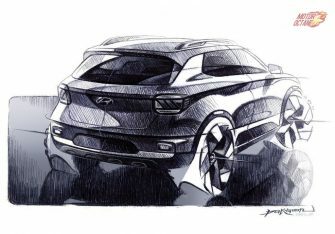 Both, Ford and Mahindra are very interested compact SUV segment. 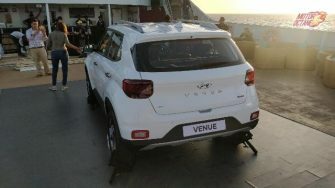 Besides the full-size SUV, the Endeavour, Ford has the Ecosport and the Freestyle. 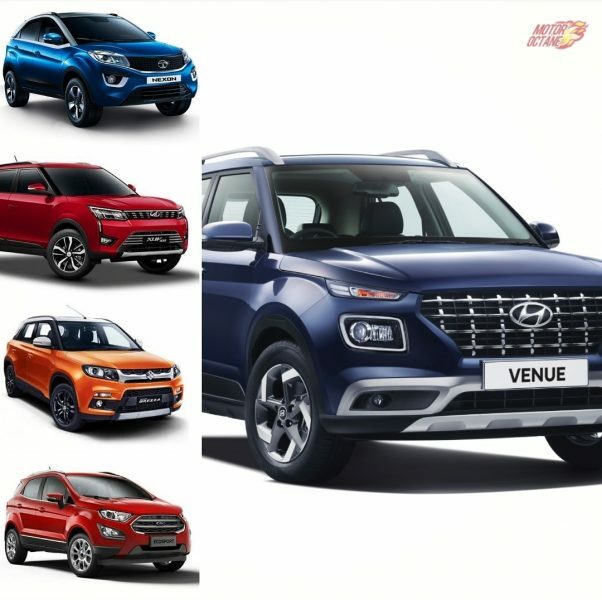 The lure of the SUV body style and mouthwatering pricing (due to the lower tax on sub-four-meter cars) shows us why this segment is performing so well in India. Both manufacturers have understood the immense potential for this segment to grow further and like other carmakers; Ford and Mahindra to want to cash in this ever-expanding market. 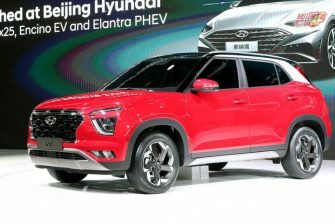 The joint venture will either use the SsangYong Tivoli (Mahindra’s S201) or Ford’s Maruti Vitara Brezza rival (codename: B763), that is currently being developed. 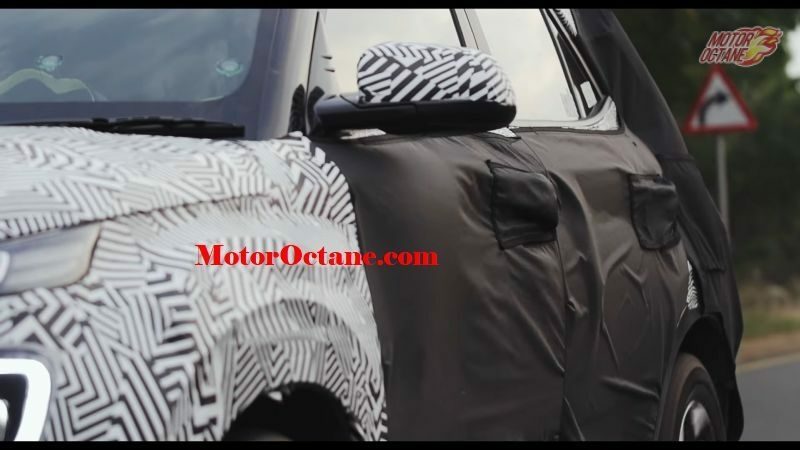 The Ford and Mahindra/SsangYong SUVs will, however, wear different ‘top hats’ which will make the cars look very different. 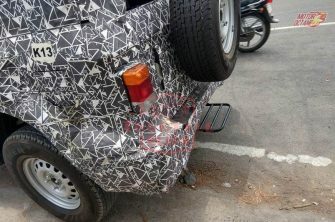 This means that the body style will be radical and different. ‘Badge engineering’ is not something either company wants to do. In the market, these cars will fiercely compete with each other. 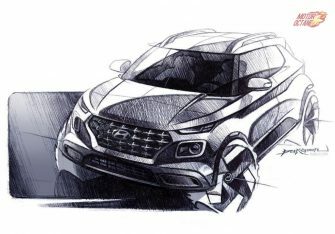 This SUV is expected to come in 2020. 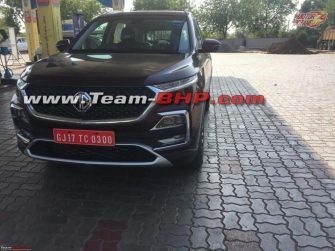 The latest car that we will see from the Ford and Mahindra partnership is a Ford SUV which will essentially be a new generation Mahindra XUV500. 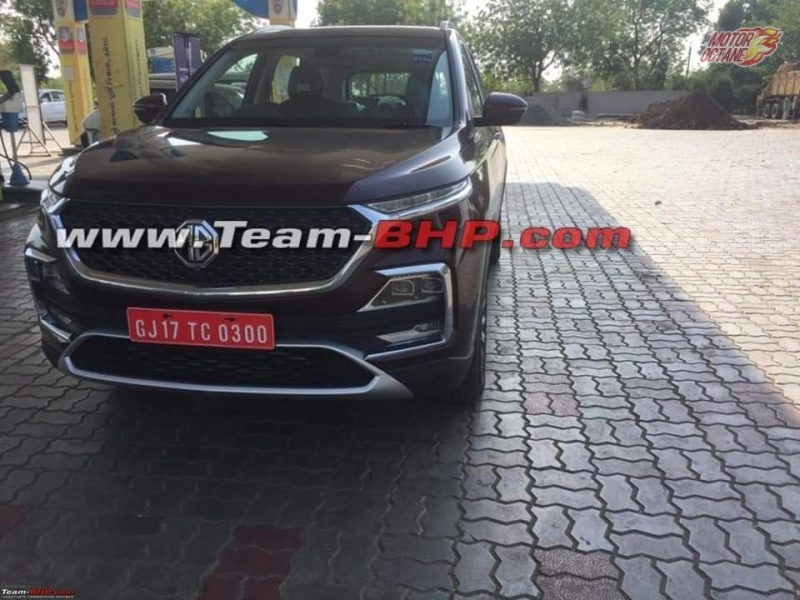 The plans, however, for the new generation XUV500 have been delayed and dropped. 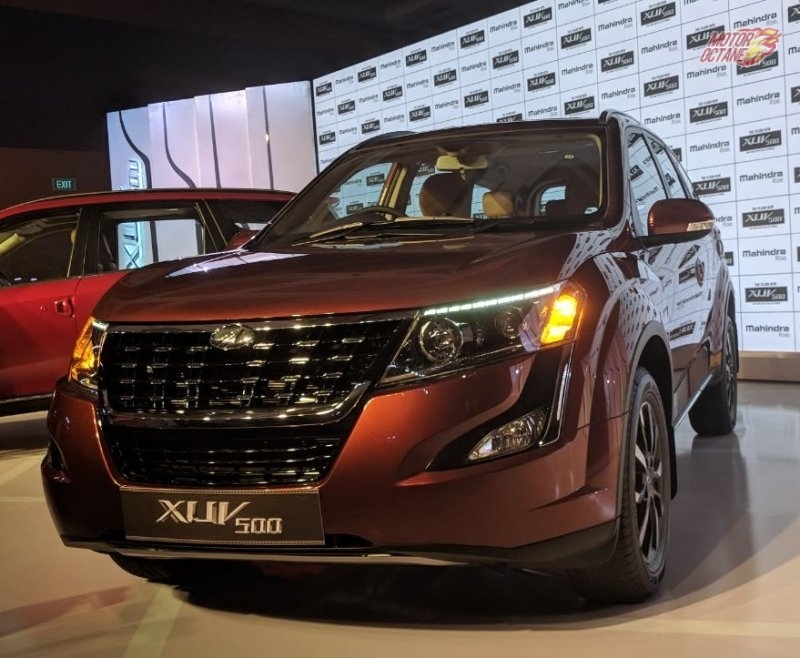 The new XUV500 will come in 2020 now. 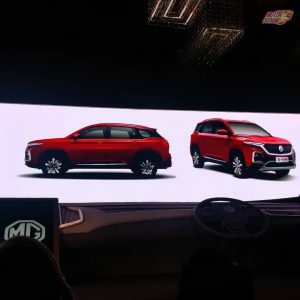 Mahindra has announced that the XUV700 which will launch near the end of the year will be the last launch of the year and there will be no launches after that till 2020. 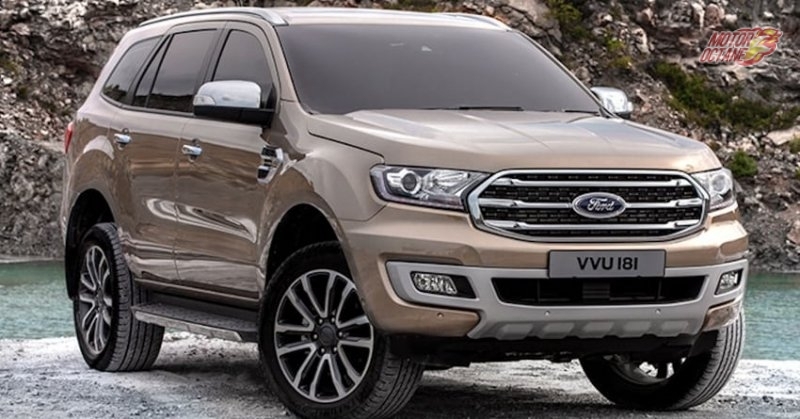 The Ford meanwhile might still get the XUV500 and get a car ready to take on the likes of Hyundai Creta and the Jeep Compass. We don’t think it will be a seven-seater as the XUV500, but it will be a great car’s underpinnings to have. Next up is the power train-sharing aspect of the Ford and Mahindra deal. 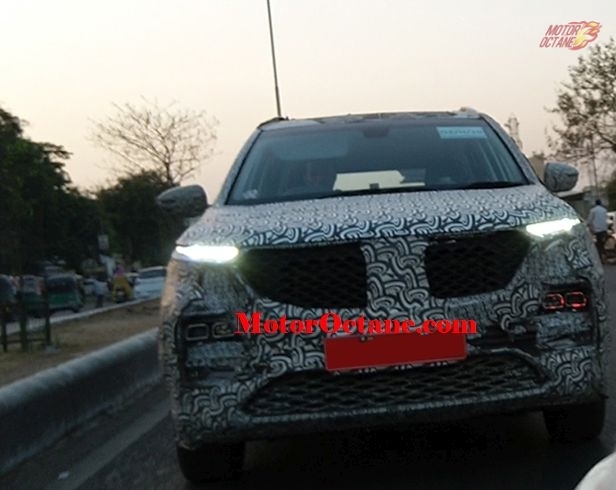 We could see Ford’s C-SUV use Mahindra’s next-gen BS-VI-compliant 2.0-litre diesel, while Ford’s new Dragon petrol engine could be used for all M&M’s compact SUVs. Win-win situation here for both manufacturers. 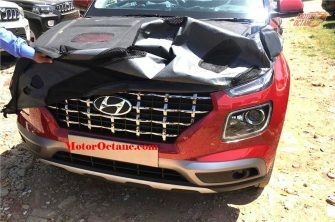 We can see a lot of interesting details of this deal transpire in the coming few months and also see some really cool cars come in. The future we can say is still not bleak for Ford. 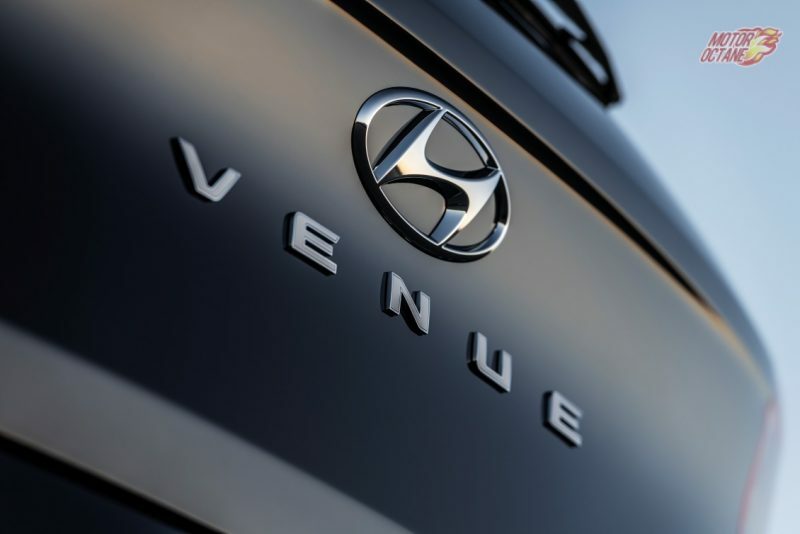 The company posted it’s best results in terms of sales and profits last year. They are looking for a smart partner and deal. Ford is not done in India, We think a strategic deal will help the company in the long run. 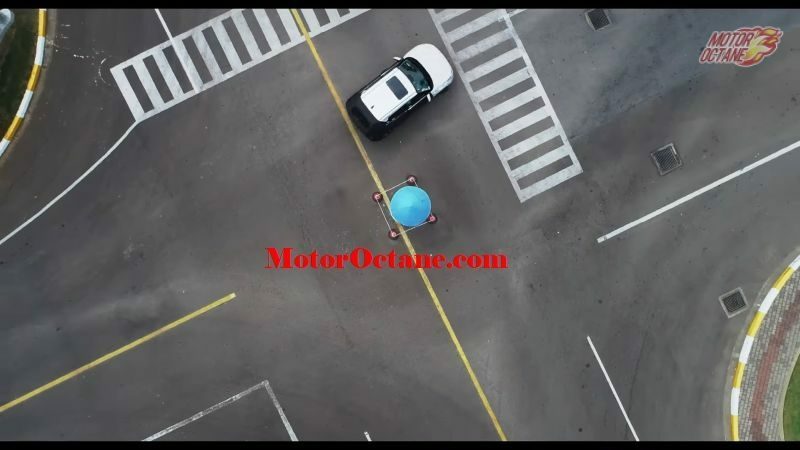 If you do not want to miss new details and news like this – allow MotorOctane.com to send you notifications to you for leading news and content now. 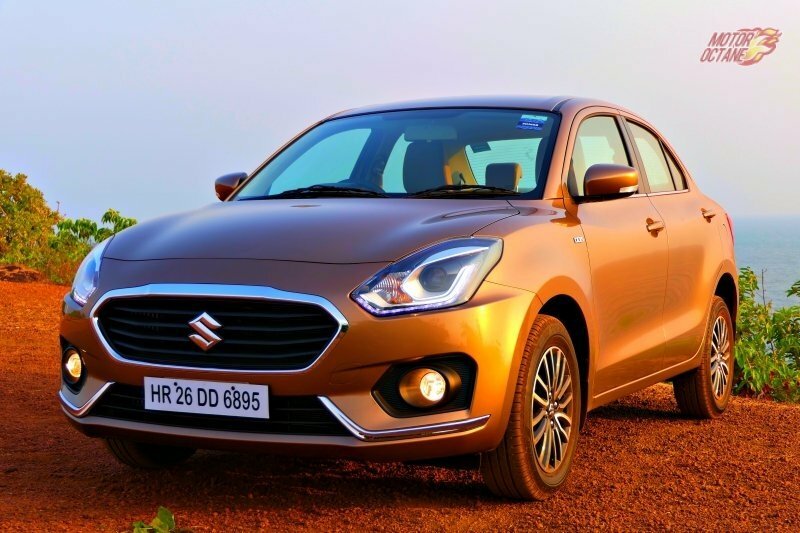 2019 Maruti Dzire – What’s on offer? 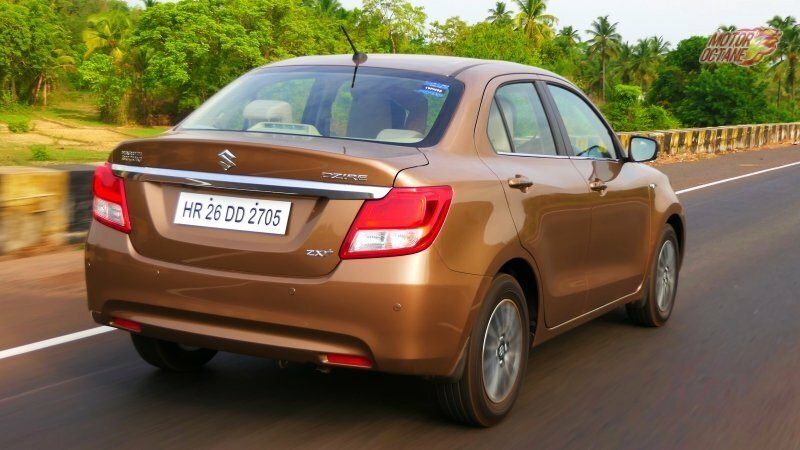 The Maruti Dzire was launched in 2017. The car has not gotten any significant update or anything new ever since. This car continues to be a great product and has been the winner of many comparisons conducted by us in its class. We have also done long term reports of the car where it has been a recommended product too. 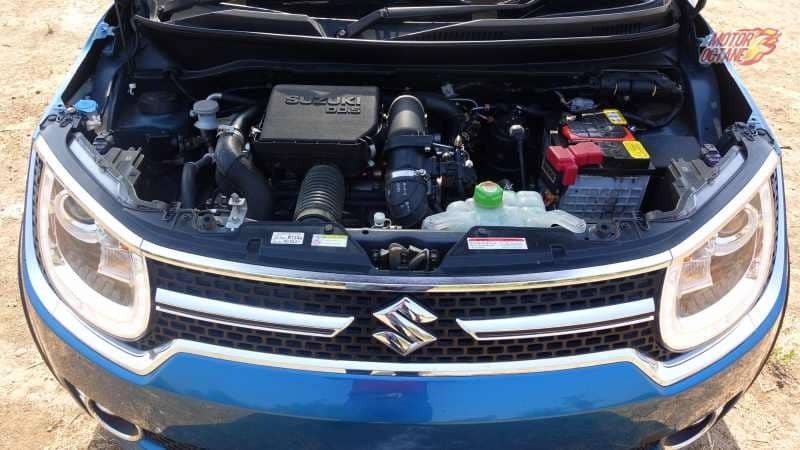 The Maruti Dzire is currently available with the 1.2-litre petrol and the ageing 1.3-litre diesel engines. 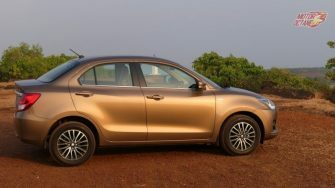 The cars main competition is the Ford AspireHonda Amaze, Tata Tigor and the ageing and soon to be updated Hyundai Xcent. Right now what’s available on this car? Price? Specs? Scroll below to find out more. The price of the car has been good but the sales of the car have dropped quite sharply in the past few months. But this is something the complete segment has faced. Maruti Suzuki Dzire is a brand that has led the segment ever since it came into the market. The cars prices are still competitive. 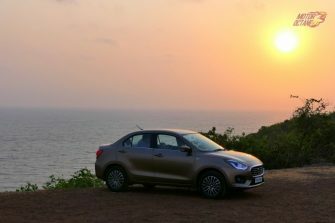 The Maruti Dzire is a feature-packed compact sedan and in fact, when the car was updated in 2017, it got a host of new features. Below are some of them. Also Read: Tata Tigor is a better choice? 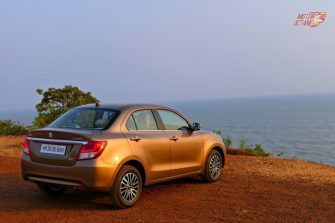 The car competes with the Honda Amaze, Ford Aspire, Hyundai Xcent and the Tata Tigor.